Just as all treating physicians and/or medical experts are not the same, all medical illustrators are not the same. Attorneys typically go to great lengths to ensure that testifying experts for their cases are adequately credentialed, but many give little thought to applying the same due diligence when selecting a medical illustrator. This can be a big mistake because unlike many “professionals”, there is no basic training, licensing, or certification process that is required for an individual to call themselves a “medical illustrator”. 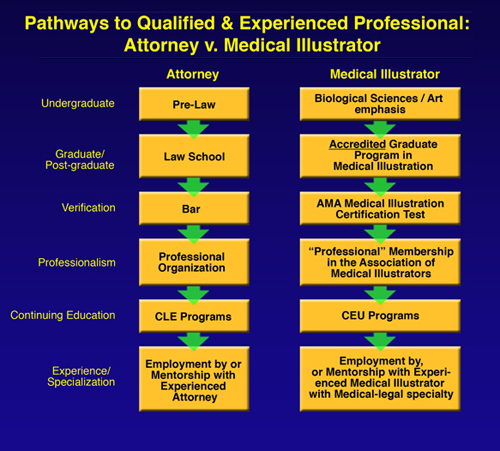 Many less skilled and/or less qualified “medical illustrators” market to attorneys – perhaps because attorneys are less able to detect errors in their work. For these reasons, it is the responsibility of the attorney and/or medical expert to their clients to ensure they enlist the services of a medical illustrator who is qualified to provide those services. Working with a qualified medical illustrator who has experience in the medical-legal area can be a pleasant, enjoyable experience for the testifying expert as these medical illustrators are able to read and comprehend medical records, review imaging studies, and discuss complicated anatomical and medical terms on a very similar level as the expert.  On the other hand, working with an un- or minimally qualified and/or inexperienced medical illustrator can be a frustrating and time consuming task that may require multiple revisions of drafts, ineffective demonstrative aids, or even embarrassment during a hearing because of the discovery of some error or inconsistency during testimony. Other criteria that should be evident in a résumé or CV that would help demonstrate at least minimal qualifications are 1) Certification as a medical illustrator as issued by The Board of Certification of Medical Illustrators and 2) Professional Membership in the Association of Medical Illustrators. Both of these require that the individual possess at least minimal medical illustration training and skill levels. Also, just as there are different subspecialties in medicine which require specific and advanced skills and knowledge, specialization in “medical-legal” illustration requires additional knowledge and experience in addition to those required for general medical illustration. For that reason, it is also wise to select a qualified medical illustrator who is not only familiar with illustration and medicine, but also has a significant amount of experience in creating illustrations for litigation purposes.